'Tis the season for exciting concert announcements. The latest announcement: the Red Hot Chili Peppers will perform at the Bradley Center on November 1st! It's been six years since the Red Hot Chili Peppers last visited the Bradley Center, so November's concert will certainly be a treat. Their tour is in support of their latest album I'm With You and will be one of the band's biggest tours to date. Ticket King Milwaukee will have Red Hot Chili Peppers Bradley Center tickets. The Red Hot Chili Peppers, formed in 1983, have won over 6 Grammys and will be inducted into the Rock N' Roll Hall of Fame this April. 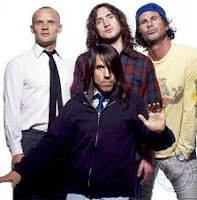 In addition to having sold 70 million records worldwide, the Red Hot Chili Peppers also have the most number 1 singles on the Alternative Songs chart with 12 songs. Alternative rock fans of the last three decades will not want to miss this show at the Bradley Center.